For FREE Spirits! Beautifully hand-crafted! 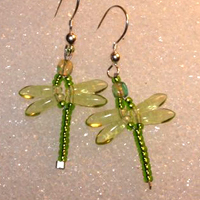 These glass beaded dragonflies are fun and casually elegant! Copyright © 1999-2006 Rocksalt International Pty Ltd. All rights reserved. Powered by VP-ASP.